At Udani Chemist we have 2 prescribing pharmacists. These are pharmacists who can write a prescription for medicines that you cannot normally buy. Just like a Doctor/GP. The prescriptions that we write are currently for non-NHS items. This may change in the future and we may be able to write prescriptions for NHS items. We have had to go to University again to get this Extra Qualification. This is not a qualification that every pharmacist will have. We are registered with our governing body, the GPHC, to train pharmacists of the future. The Pre-Registration Pharmacist spends a year with us and then takes their final exam before qualifying as a pharmacist. Your Health is our Primary Concern. When it comes to Aesthetic Treatments you are not always sure who is treating you, their qualifications and training and whether they are using quality products. To become a member of Save Face you have to be individually assessed on-site against a stringent set of standards. Cosmetic medicine is a rapidly growing and expanding area and it may surprise the public to know that it is nearly entirely unregulated. Treatments should only be performed by medically qualified practitioners including doctors, dentists, nurses and prescribing pharmacists. However as there is no enforcement of these rules, it is not uncommon to find a therapist who has been on a course and claims to be qualified to perform potentially dangerous treatments including injecting prescription only medicines. But what happens if something goes wrong? They will not have the necessary skills or drugs required to manage the complication and as they are unregistered, they can continue practising without any repercussions. 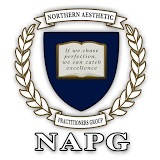 The Northern Aesthetics Practitioners Group (NAPG) provides aesthetic practitioners with education, support, and guidance in a welcoming environment. The aim of the NAPG is to share experiences and learn together as a community. The NAPG places a strong emphasis on increasing levels of patient care and safety. The group is multidisciplinary and is open to all practitioners regardless of experience or skill set.